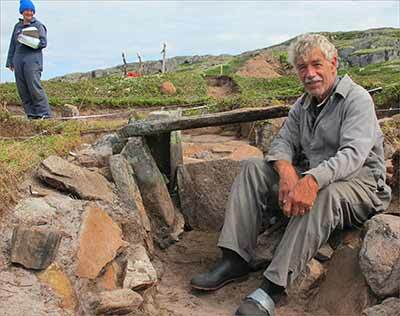 Scientist Bill Fitzhugh ’64 made headlines in August 2014 for his research demonstrating that a prehistoric people, the Dorset, survived for more than 5,000 years in the Arctic before being decimated by the whale-hunting Thule culture, ancestors of the modern Inuit. Like any good teacher, Fitzhugh, who is director of the Smithsonian Institution’s Arctic Studies Center, made his findings accessible to a broad audience. Talking to TIME about the Dorset, he said, “One might almost say that they were the hobbits of the eastern Arctic.” A quick Google search for “hobbits, Arctic” demonstrates the effectiveness of Fitzhugh’s phrase. “I want students to appreciate the deep human history of the entire circumpolar Arctic and the amazing changes underway today,” he says. 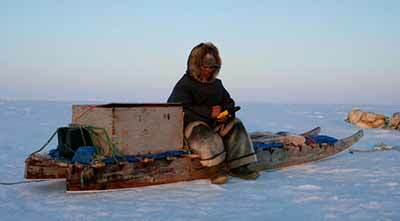 Students in the Arctic Crossroads class will study Native people including the Inuit. As an anthropology major at Dartmouth, Fitzhugh conducted research in places including Newfoundland and Hudson Bay. He credits professors Elmer Harp, Robert McKennan, and Al Whiting with crystallizing his interest in the subject. Fitzhugh went on to earn a Ph.D. from Harvard, work at the Smithsonian’s National Museum of Natural History, and has spent more than 40 years studying the Arctic peoples and sharing his discoveries.